Just after the first of April, the roads and fields around farms come alive with manure spreaders pulled by tractors and mounted on trucks. For most people, it is just a season of bad smells but many people don’t know the science behind it. Manure can be hard to understand, but first you have to understand the housing of modern dairy cows. Modern dairy cows are housed in freestall and tie-stall or comfort stall barns. Freestall barns are usually very open with cows separated into large groups. Each group has at least one “alley” with raised beds on either side, freestall barns are usually bedded with sand (think beach). Tie-stall or comfort stall barns are usually less open, with cows in separate stalls lining a manure gutter with an alley on the other side. Manure can be separated into two different categories.Liquid manure is usually cleaned out of freestall barns because less bedding ends up in the manure. Solid manure is usually cleaned from tie-stall barns because the sawdust bedding mixes with any liquid during cleaning. The state of Vermont orders a manure spreading ban starting December 15th and ending April 1st. The purpose of the spread ban is to stop manure from running-off frozen ground and contaminating sources of water. 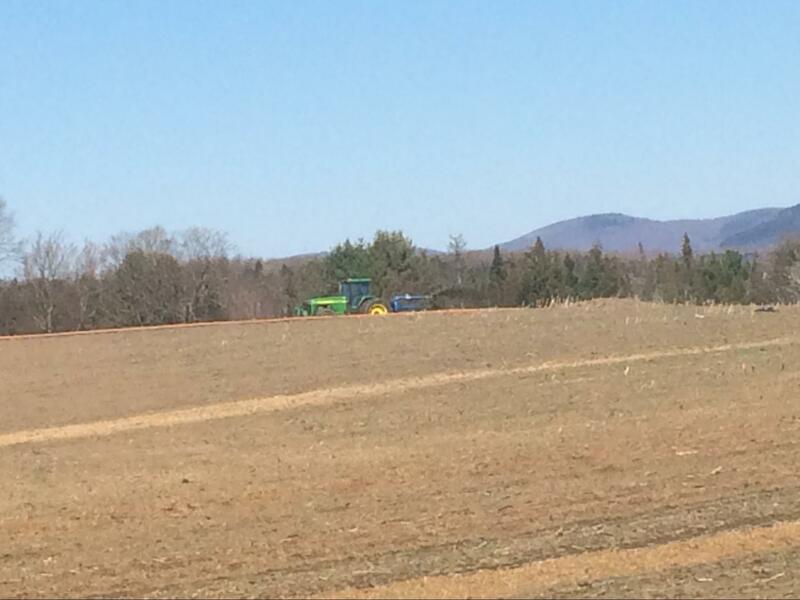 Because of Vermont’s spreading ban, farmers must have long term storage for any manure they produce over the winter. “We can store about 7.5 million gallons of liquid manure to be applied to 2400 acres of cropland,” said Fairmont Farm’s Richard Hall. The most common way to store liquid manure is in large pits. Pits can be clay or cement lined and can be round or rectangular and greatly vary in size. Liquid manure can also be stored in above-ground metal tanks. When a pit needs to be emptied, a pump, powered by a tractor PTO is put into the pit. 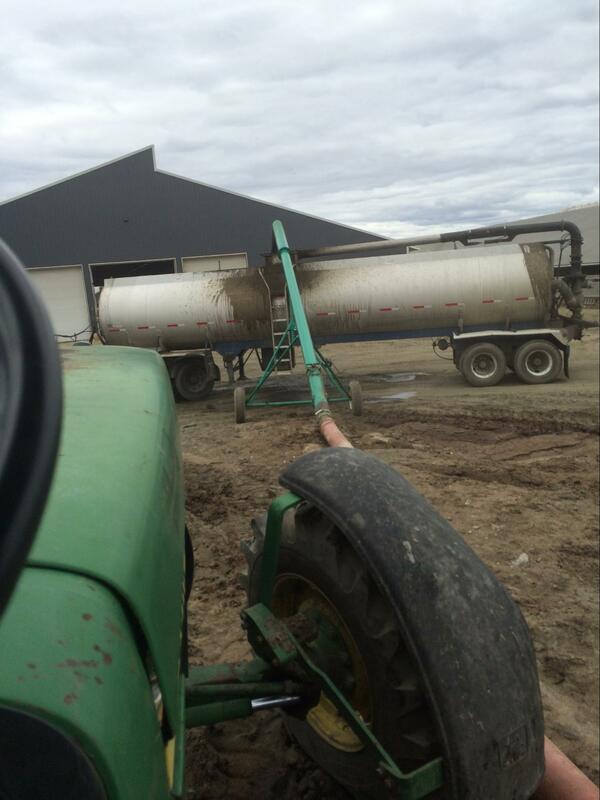 Manure is pumped out of the pit and into waiting tankers pulled by tractors or mounted on trucks. 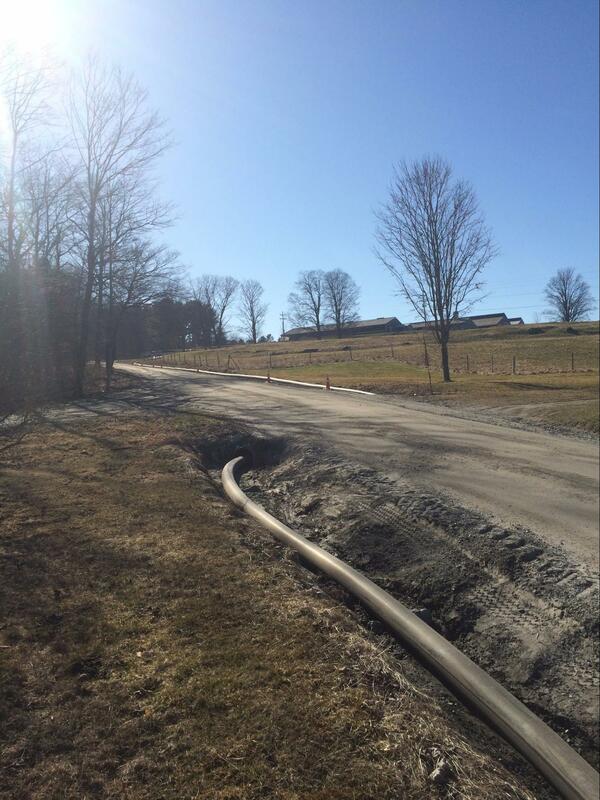 A manure hose runs through a culvert to get to the field. 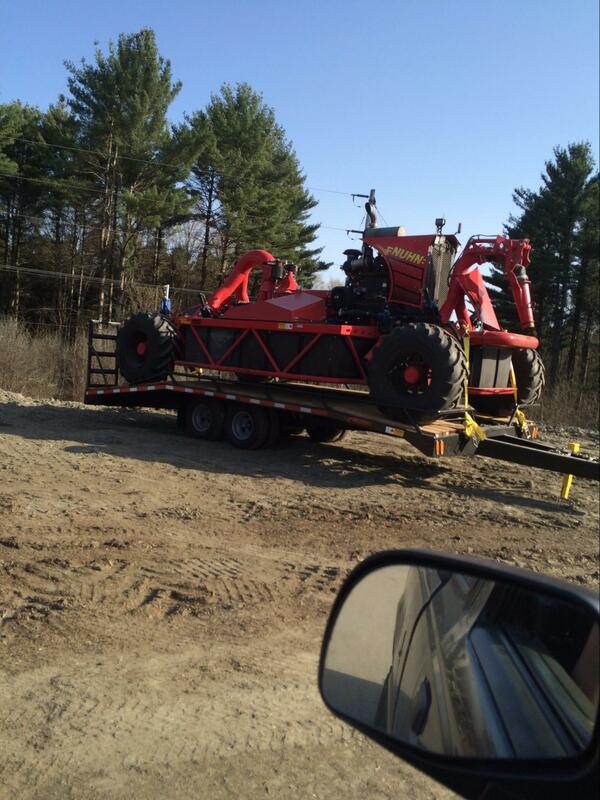 Once a load of manure arrives at the field, there is a variety of ways to get the manure onto the field. If the manure is hauled by a truck, it can be spread by the truck or transferred to a tank pulled by a tractor. Manure is spread evenly on the field to provide important nutrients to the field. “Manure supplies our growing crops with needed Nitrogen, phosphorus and potash. It also benefits the soil with food for microbial growth which in-turn feeds the crops through the microbial lifecycle,” Hall said. Another way to spread liquid manure is through a drag hose that runs from the manure pit, to the field and is spread by a tractor that pulls the hose around the field. Manure is carefully spread to prevent runoff and over spreading. Manure is carefully spread to prevent runoff and over spreading.“The biggest issue with excess manure can be phosphorus overloading and the effects of run-off into ours waters. This has lead us to better management practices like no-till, and proper setbacks from streams to prevent phosphorus from leaving the fields,” said Hall. So far from being a waste product, manure is actually a resource, however bad it smells. A semi tanker is loaded with liquid manure from a in ground, cement lined pit.